The Christmas, that sweet smell of Christmas and the end of the old year, about to birth the new one, the decorations on your lawn and around the use, the purchase of a new Christmas tree, fierce competition between neighbors for the house with the most creative decorations this Christmas. In this entire Christmas craze, it is very easy to injure your lawn and all that finesse which you have managed so exceedingly well all through the year. Thanks to the giganomous Christmas tree you bought this year coupled with all those light bulbs and bells hanging around your lawn, Bob the neighbor’s kid now has numerous hiding spots on your lawn, and Mrs. Annabel drives off your lawn every morning while trying to get her car off the driveway. Contact GoMow Lawn mowing services on advice to enable harmless yet sophisticated lawn decorations so that you may compete while retaining that lush vegetative look. 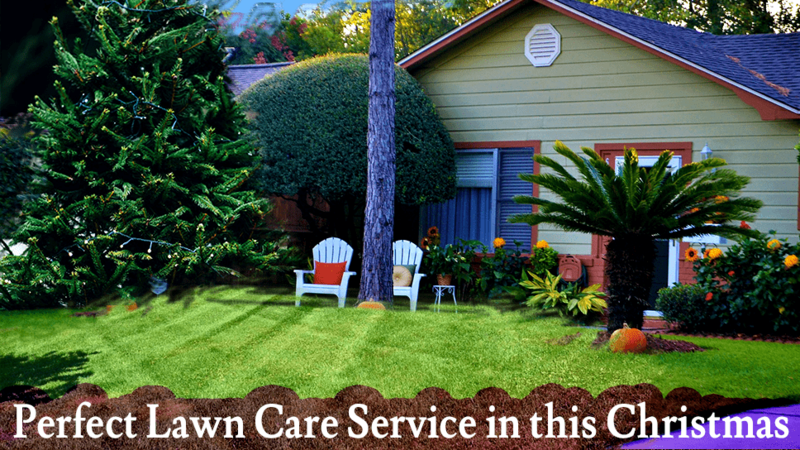 As Christmas approaches, take care of some of the vitals by involving the best of Lawn Care Services Texas. As you would prefer to avoid broken conversations with friends and family in the backyard amidst shrills of crickets holding their own Christmas conversations. Make sure to ensure effective Lawn maintenance practices before the Christmas visitors begin to troop in their numbers. Application of herbicides should be done as soon as possible in order to give your lawn the much-needed time to reclaim all that green vigor. Also ensure you dethatch your lawn, removing underlay before all that movements during Christmas compact the soil beneath even more. After which you may fertilize and mow the lawn. These activities are suggestively better done a day before your guests arrive, this is to enable a little recovery time before the lawn’s wit is tested with all that Christmas traffic, Finally, deep water your lawn the day before Christmas as it allows the soil to absorb enough moisture and most importantly allows for your other engagements during this period. If you’d rather have these done by a Lawn care company in Dallas then duly call on GoMow Lawn services for a Christmas friendly lawn.